Video Enhancement - A.U.G. Signals Ltd. 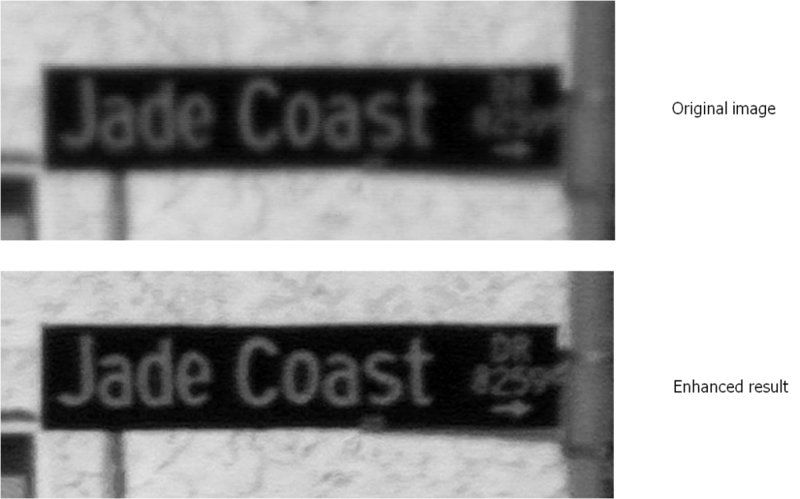 While other commercially-available products lack the ability to accurately register complex motions of multiple objects due to their inability to enhance images beyond single-frame based sharpening and de-noising, AUG’s unique multi-frame registration and fusion techniques enable multi-frame based image enhancement. AUG utilizes two different phenomena for multi-frame based object enhancement, which are complementary sampling and redundant sampling. For each case, accurate inter-frame motion estimation and data fusion is the key. In the presence of camera/object motion samples of different frames of video provide complementary information. This information can be used to improve object resolution far beyond hardware capability, using a procedure known as super-resolution, and to add increasing number of constraints to achieve unprecedented de-blurring capability. Perfect redundant video frames are obtained when there is no camera/object motion. If camera/object motion is accurately computed, redundant samples can also be estimated by interpolating complementary samples. Redundant samples can help in improving denoising and scintillation effect removal performance. AUG provides video enhancement services to defence and security stakeholders. In 2012 scintillation effect removal technology was successfully integrated with a long-range camera system of Thales Canada Inc. during a demonstration at Canadian Forces Base in Petawawa.